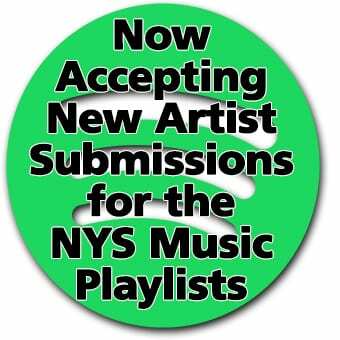 Four artists remain from our field of 64 up and coming bands from across New York State! 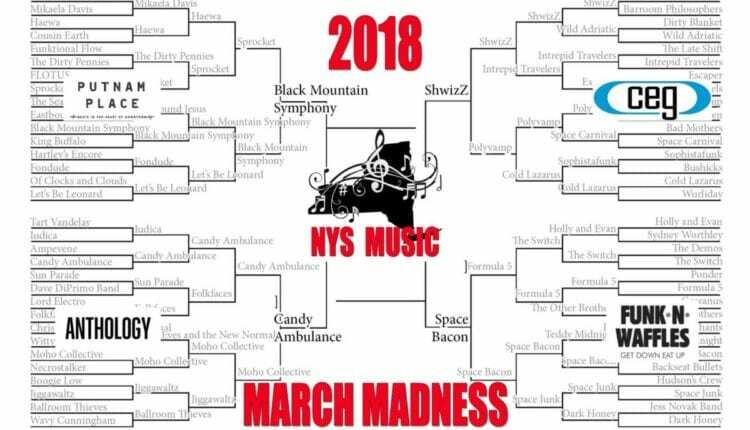 With the first weekend of the Big Dance in the books (and Syracuse busting brackets left and right), we are now at the Final Four of NYS Music’s 2018 March Madness! Two weeks ago, we started with 64 up and coming artists from across the Empire State, and now there are four vying to take it all in our friendly tournament-style competition. 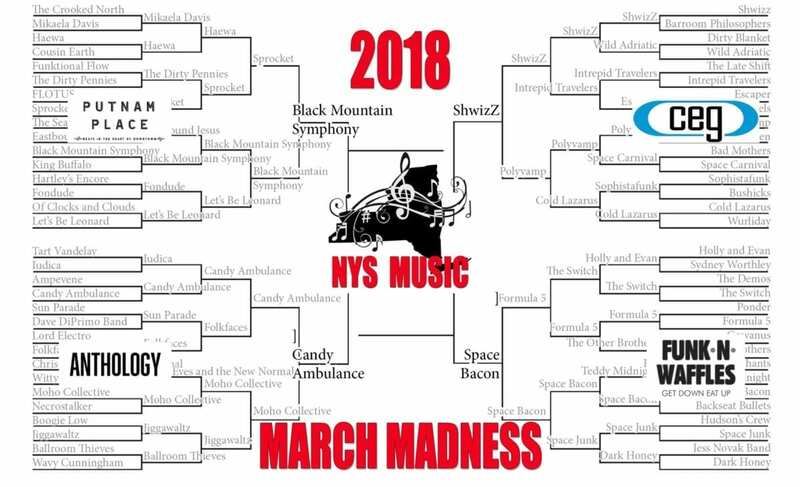 Winner of the Putnam Place division, Black Mountain Symphony showcases an eclectic range of influences, blended together to create their own special sound. From baroque classical violin and haunting folk-tinged ballads to funk-rock drums and hard-hitting dance numbers, the six-piece band sprinkles their live sets with hints of everything from classical music to bits of Motown, blues and jazz. Black Mountain Symphony performs both intimate acoustic shows as well as intense, full-band rock shows. Upcoming shows include April 6 The Colony in Woodstock, and on May 18 Flyday Music Festival in East Durham, NY. Candy Ambulance is the winner of the Anthology division. Formed in the summer of 2014, grunge-influenced Candy Ambulance of Upstate NY are Caitlin Barker, Jesse Bolduc & Jon Cantiello. Lifelong friends and musical mates Bolduc & Cantiello rescued Barker from a wealthy engagement prospect and whisked her away to the land of DIY punk. Poppy melodies, dynamic vocal changes and half-naked live shows have solidified this rock trio as always entertaining, unabashed fun. Boasting a healthy and frequent tour schedule the band has played with notable acts such as Screaming Females, Speedy Ortiz, Daddy Issues, and Dorothy. 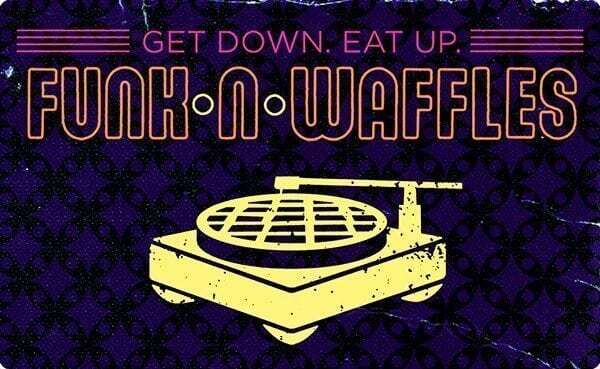 Their next show is on March 30 during Troy Night Out at River Street Pub with The Death Vacation and Sun Natives. CEG Presents’ division winner is ShwizZ, a unique cast of characters reigning from downstate New York. Best described as a melting pot of funk and progressive rock, this giant original sound will be sure to put a smile on your face. The band’s variety and depth allows for lovely twists of improvisation and spontaneity spiked with technical prowess and musical complexity. Over the years the group has shared bills with many notables including Jeff Beck, Primus, Jordan Rudess (Dream Theater), Kung Fu, Dopapod, Consider The Source and more. ShwizZ can be found gigging all over the northeast and you won’t be surprised to find them playing at your favorite festival or club for years to come. Their next show is on April 11 with The Mushroom Cloud & Stubbs at Wonder Bar in Allston, MA. Space Bacon Brooklyn’s finest jam band is a jamtronica quartet that weaves composition and improvisation through an ever-changing landscape of segues, inversions, and palindromes. They have two upcoming shows this spring in New York: March 30 with SkyDaddy at Garcia’s and on May 3 opening for Pigeons Playing Ping Pong at Brooklyn Bowl. Final Four voting begins at 10AM EST on Monday, March 19, and closes at midnight on Wednesday, March 21. The Championship round begins at 10AM EST on Thursday, March 22. Vote now for your favorites and discover some of the great up and coming music that New York State has to offer!